These messages are written in a lively and exciting style, but the style never overshadows the penetrating content and call to action. 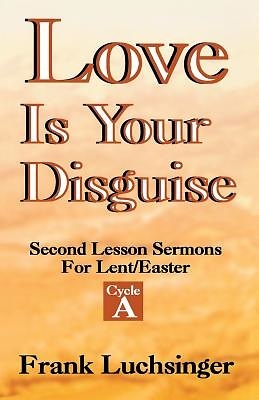 The author leads us through Lent with a focus on the themes of Love, Peace, and Our Inheritance in God. In part two we consider "Easter a Time for Higher Things." How is the joy of Easter translated into the days and weeks that follow How can we find an Easter power and an Easter faith when tests and trials descend This section is a powerful reminder that Easter is a time for finding life's deeper meanings. A Time to Answer "Where Do You Live "
The grandson of a Great Plains circuit pastor, Frank Luchsinger, M.Div., Ph.D., is senior pastor of Church of the Master at Otterbein College in Westerville, Ohio. While serving as preaching minister of a dynamic campus church, Dr. Luchsinger also finds time for seminary teaching, guest preaching, and writing in the field of Homiletics. He has lectured at Duke, The Schooler Institute, and the national "Proclamation" academy for preachers.